Water is a powerful thing. For centuries mankind has harnessed this power and used it as a source of energy and fuel. 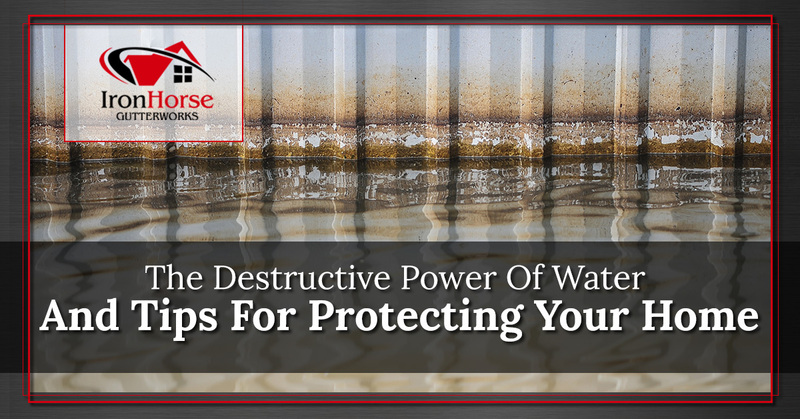 However, there is also a destructive quality to the power of water and, in the case of your home, water can lead to severe damages to your property. Because water is such a destructive force, gutter systems were created to help pull water away from the home and carefully guide it to a drainage system. At Iron Horse Gutterworks, we specialize in gutter installation in Syracuse. 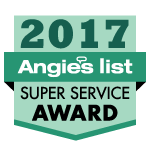 Whether you have an older home that has decrepit gutters falling off or a newer home devoid of any gutters at all, we can help you choose the perfect gutter system for your needs. Read on to learn more about the destructive power of water and the ways in which gutters can help. One way that water will wreak havoc on your property is through the erosion of your landscaping. Without proper drainage, heavy rains will lead to cascading waterfalls off of your roof and into your flowerbeds. This can cause severe erosion to your landscaping, which can cause your property to look less than pristine. Benefit Of Gutters: A good gutter system will draw water away from your property in a controlled manner. This water can then be directed into a drainage system, rather than flooding your landscaping. Without the right drainage system in place, water can wind up pooling on your roof. A flooded roof can wind up being a much bigger issue. The standing water can cause your roofing materials to rot and leaks can form. Before you know it, water is seeping into your attic and ceilings. Benefits Of Gutters: Gutters will draw water away from your roof, which allows your roofing materials to stay protected. This can save you copious amounts of money that you would have spent on roofing repairs. When water comes rushing down the side of your home, your flowers aren’t the only things at risk. The siding on your home can be stripped of paint and warped over time due to rushing water. Benefits Of Gutters: A gutter system, when properly cleaned and maintained, will prevent water from flowing over the side of your home. This allows your siding to stay protected and keeps your paint pristine. If water goes unchecked, it can cause your porch materials to become damaged. Pooling water on your porch will cause wood to rot and eventually can lead to a sagging structure. Benefits of Gutters: When you install a gutter system over your porch, you can draw water away from the area preventing the pooling that leads to rotting. As you can see, water is a true force to be reckoned with. If you want to better protect your property against this powerful force, contact us for gutter installation in Syracuse and the surrounding areas. We can ensure that your gutters carefully direct water away from your home and property, offering you protection even during heavy rainfall. Reach out today to learn more.